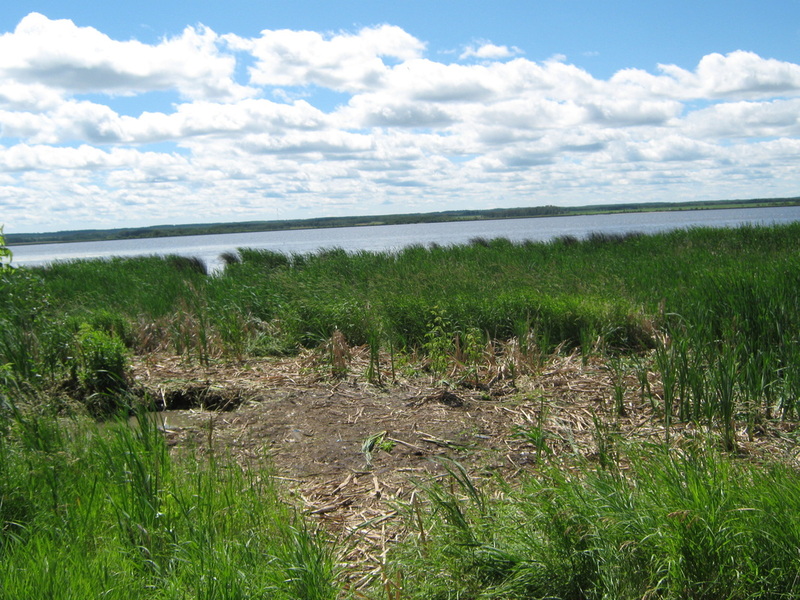 This weed loves streambanks and lakefronts. 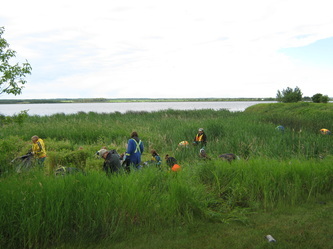 It smothers other vegetation and then, like a good Impatiens, when the first frost comes it becomes a puddle of mush and leaves the area open to erosion, silting of the water and further invasion. 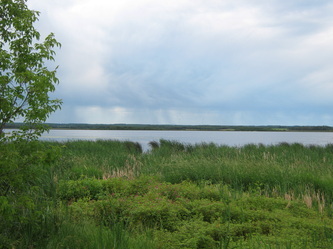 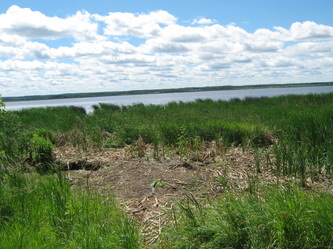 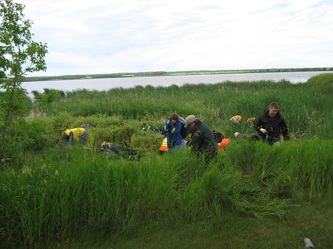 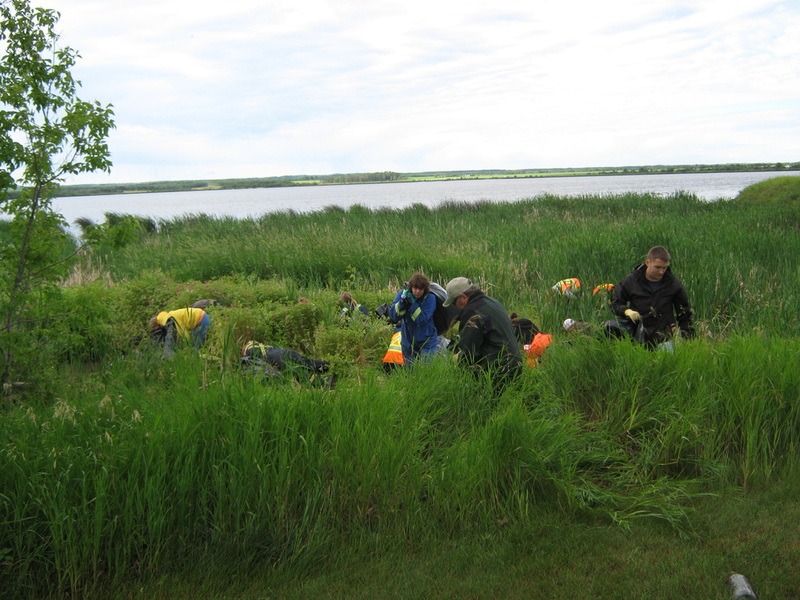 The Himalayan Balsam problem and the 2012 cleanup work at Jesse Lake near Bonnyville, Alberta.